Magnetic Resonance Imaging, better known as an MRI, is an advanced, state of the art method, which produces very clear pictures, or images, of the human body without the use of X-rays. This technology enables physicians to detect abnormalities and problems earlier than ever before. MRI uses a powerful, but harmless, magnetic field and radiowaves, like the kind that transmits your favorite FM music. The combination of radiowaves and the magnetic field produce detailed images of body structures such as the spine and bones, and unlike plain x-rays, an MRI will picture soft tissue such as joint ligaments, muscles and their tendons. 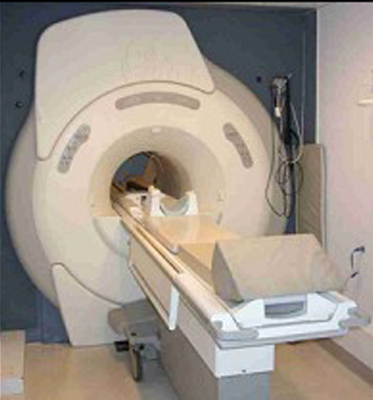 The MRI exam is probably one of the easiest and most comfortable exams you may experience. You will be asked to lie down on a cushioned table while the average MR scan takes 5-15 minutes, with a complete exam running 20-60 minutes. During this time, several dozen images may be obtained. You may eat and drink normally prior to and on the day of your exam. The MRI exam poses no risks to the average patient if appropriate safety guidelines are followed. If you have any questions regarding the MR exam, please be sure to discuss them with your doctor. Southeastern Orthopaedic Specialists, P.A. can easily refer you to our MRI facilities for quicker and convenient access if your doctor recommends this valuable diagnostic tool. SOS also enjoys the advantage of in house consulting Radiologists who can administer “contrast MRI” studies if indicated.